18 Different Types of Shirt Collars - Do You Know Them All? 18 Different Types of Shirt Collars – Do You Know Them All? Shirt collars first appeared in the Western world in the mid-1400s. Standing collars evolved into the extreme neck ruffs in the 16th century London as a result of new advances in starch. The ruff extended at least eight inches from the neck and had up to 600 pleats in them. According to the Magazine of American History, the Englishmen called the ruff the French fashion but the French called it the English monster. On the pragmatic end, the detachable collar was introduced in the 1830s as a way to avoid laundry since only the collars and cuffs were the most visible parts of the shirt back then. The terms “white collar” and “blue collar” also have something to do with laundry. Those who worked at offices could afford to keep their shirts white and clean while workers and labors used darker clothes because they got dirtied more easily. Here’s a chart setting out the most common shirt collars. Now we get into the details below. A band collar is simply a band that takes the place of the collar, which means that essentially, there is no collar at all on these shirts. It is composed of a flat band of cloth which fits neatly around the neck. In fact, this is its number-one characteristic, the lack of a collar. Just what type of men like the band collar? Almost all of them. If you are an experimenter who enjoys taking risks when it comes to your personal style, the band collar will work great for you. Band collar shirts are more casual and informal than other types of collars; however, many men can still wear them to the office. Mostly, though, they are perfect for traveling and taking vacations during the summer months. You often find band collars on shirts made of materials such as denim and chambray, and there are also many different types of band collars. However, if you see a casual or dressy shirt with only a band where the collar should be, you’ll know it is a band collar. The origin of the button-down collar indicates it was a very practical invention, because it was introduced by Polo players who wanted to keep their collars from flapping in their faces while participating in their sport. Every man from preppies to classic shirt lovers appreciates the button-down collar, and you can already guess what makes it unique among men’s shirts, its buttons. If you enjoy the preppy look, and you like having a professional style even when you’re not wearing a tie, the button-down shirt is perfect for you. Like the point collar type of shirt, shirts with button-down collars should be found in every man’s closet. It is a relaxed style that looks great whether you wear a tie or not. This is because button-down collars can be both casual and more formal, so they can go from the boardroom to the barroom with no problem. In fact, unless your office is extremely dressy and formal, you can wear these types of shirts and still look amazing. Also known as the Eaton collar because it was developed at Eton College, the club collar is simply a standard point collar with edges that have been rounded off, so they do not have “sharp” edges to them. These rounded ends are what set them apart from other shirts, and even though they can be either casual or dressy, they are also a lot of fun to wear and often present a devil-may-care attitude. 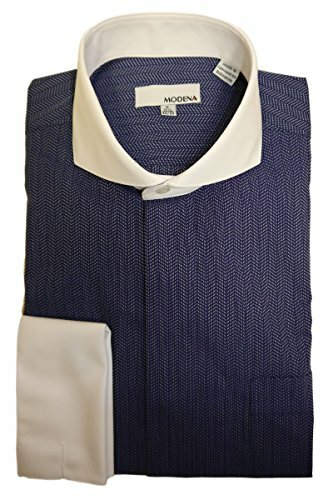 Though they don’t look good in every situation, club collar shirts look best for cocktail parties, other semi-formal events, and even a night on the town. If you like a shirt that is both stylish and comfortable, the club collar shirt is it. Sometimes called a Windsor collar because it originally was developed to fit Windsor tie knots, cutaway collars are made at an angle that “cuts away” from your face. It was developed as a reaction to the rigid styles found in the 1920s, and it is meant to be much bolder and more modern than those types of shirts were. Because of the “V” shape in the top and center of the collar, it is more spread-out than most other traditional collars. They do a great job of emphasizing your face and neck, and best of all, they are perfect for almost any occasion, both personal and business-related, casual and formal. If you have a slimmer or elongated neck and a face that is angular in shape, the cutaway collar will look good on you. Although they are perfect for nearly any occasion, these collars are not for everyone. If you’re unsure about the look, try one on before you make a permanent decision because you may prefer other looks instead, such as shirts with a spread collar. When it comes to the standard, traditional-looking dress shirt collar, the forward point collar, or point collar, is it, but that doesn’t mean it isn’t an attractive type of collar. With this collar, there is only a short distance between the collar points, and in fact, they can usually be seen above the lapels of the jacket. If you’re a non-nonsense guy who prefers traditional and conservative wear, but you also have a deep appreciation for the classics, this is the type of collar for you. Shirts with point collars should be found in the closet of every man who wears dress shirts to work because they complement any suit and any style. Whether you put a lot of time into your personal dress style or simply wear dress shirts because the boss makes you do so, the forward point collar dress shirt looks good on every man and allows you to cultivate your own style and attitude. With a pin collar, the collar points are fastened together with a pin or bar of some type, looking like a small version of a hat pin. Picture a tab collar with its extended fabric that buttons under the tie, then replace the tab with a small bar and you get the pin collar shirt. The pin not only does a great job of holding the knot in place, but it also lifts the tie knot itself, giving it quite an elegant look. Shirt manufacturers have also become very creative with these pins, and they can be as fancy or as standard as you like. If you prefer a tailored, classic look, the pin collar might be just what you need to complete your ensemble. Of course, this doesn’t mean that shirts with pin collars are right for every occasion. In fact, the shirts are dressy-looking and work best for formal or semi-formal occasions. If you substitute the bar with a collar pin, the shirt becomes a little less formal, which also means that you’ll have many more places that you can wear it. Overall, the pin collar shirt creates a certain amount of ambiance and a look that tells people that you know exactly what you’re doing. Shirts with spread collars are in the middle when it comes to dressiness, so they are neither too dressy nor too formal. These collars are symmetrical and have an elegant look, and the points end and disappear where they meet the jacket. The shirts are great for people working in the corporate world who wish to stand out a little, but not too much, as well as men who love the latest styles and designs, but who are still more conservative than too bold. In fact, when it comes to the spread collar shirt, there is really no wrong place to wear it because it looks good whether you’re attending an important business meeting or one of your kids’ soccer games. Moreover, it looks great regardless of your company’s dress code, because it complements any mood or style you wish to convey. Tab collars started back when collars were removable and not permanently attached to the shirt. These days, this type of collar is hard to find and in fact, if you choose this type of collar, it is best if you get your shirt custom-made so that it fits just right. The tab collar has a tab that fastens with a button found underneath the tie knot. 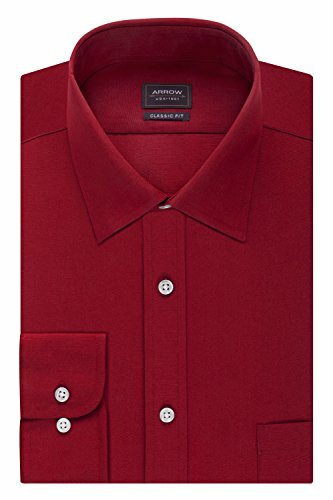 It is a fashionable and stylish look, and from far away, it simply looks like a regular forward point collar shirt. If you’re a tad on the conservative side, but you still insist on shirts that are comfortable, the tab collar is for you. This type of collar also offers certain advantages. First, it keeps your tie against the collar; and second, the knot sticks out some from the body, giving it a roll-type look at the top of the tie blades. The Bertha collar is a Victorian-era item that is usually made of lace. It is found mostly on blouses that have a low V-neck cut and are flat and round in shape. Some of them are detachable, and they can be placed on gowns, blouses, and even the more formal T-shirts available. In fact, Bertha collars are often found in 1800s retro dresses and even in many wedding dresses, and they are almost always made of lace, although other thin materials can also be used. Also found on dresses both casual and formal, the Bertha collar nonetheless gives anything it is attached to a more elegant and formal look. They are very beautiful collars that got their start in the Victorian era, but because they are so popular, they were resurrected in the 1940s and have been a staple of women’s fashion ever since then. When a detachable collar is made correctly, you’ll barely notice that it isn’t sewn onto the garment. They are mostly made for V-neck or round-neck blouses and shirts, and some even have studs that you can use to fasten them to the article of clothing. The great thing about detachable collars is the fact that they come in hundreds of designs, colors, styles, and even sizes, so if you can think up a design in your head, it is likely that a garment company has made that exact type of collar. They can be black or white, striped or solid, silk or lace, fancy or plain, old-fashioned or modern. Furthermore, you can change the entire look of a blouse or dress simply by adding a detachable collar to it, so it is a good idea to have more than one of these items in your dresser drawer. Just like the name suggests, this type of collar falls flat on the item it is attached to and offers a basic, standard look that is often very plain. However, this doesn’t mean that there aren’t a lot of good reasons to choose this type of collar because you can add uniqueness to it in a number of ways, including by adding jewelry, accessories, or even a statement neck piece of some type. In fact, flat collars are perfect because they match anything you wear and can be made more casual or formal simply by adding some jewelry or other items to the blouse itself. Imagine adding rhinestones or even studs to a flat collar, ensuring that it will complement the rest of your outfit. In fact, you can get as creative as you like with a flat collar, simply because it is flat and for no other reason. Best of all, if you’re a seamstress, regardless of your level of expertise, these collars are one of the easiest ones to make, which means that you can make them in many different colors and designs to complement your wardrobe. If you love collars that look like women once wore decades or even centuries ago, the Jabot collar is for you. Usually consisting of lace or other frilly fabric, it starts at the neckline and goes down for several inches, creating a sophisticated and very feminine look. Many of the ones made today are detachable, and they are usually attached to V-neck or round-neck garments. If you’ve ever seen a movie about British lawyers or even pirates, you’ve likely seen this type of collar, because its frilly, usually white, look is often shown atop pirates’ shirts or the shirts of attorneys in Great Britain. When they are included in women’s clothing, they are often found with a brooch of some type attached to them. Nowadays, Jabot collars are only found in dressier blouses but are still made for both men and women. They are worn by various government officials in countries such as Germany and South Australia, and even some of the female judges on the United States Supreme Court now wear Jabot collars when they preside over cases. A Mandarin collar is essentially not a collar at all. Also known as a band collar, they consist of a band that wraps all around the neckline, giving it a more casual, yet attractive, look. In some ways, it is barely noticeable, but when part of a silk blouse or other type of dressy article of clothing, it can provide a little oomph to your wardrobe. They can be attached to pullover or button-down shirts and blouses, as well as casual and semi-formal dresses, and all you have to do to make them even dressier is add some pearls or the right brooch. Band, or Mandarin, collars do not necessarily equate to a look that is too casual or basic because it is easy to alter the look to get it to be more sophisticated without any trouble. 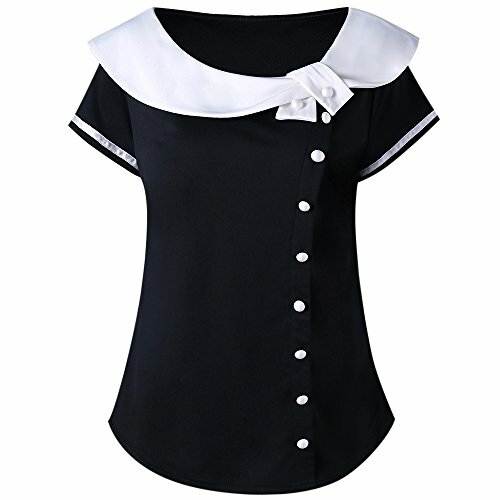 If you want to feel like a true princess, try a dress or blouse with a Peter Pan collar. These round-edged collars are usually found with button-down blouses, and sometimes the edging of the collar consists of lace or some type of bling. They give the apparel a semi-formal look, and even though they can be the same color as the rest of the blouse or dress, they are often made in a contrasting color so that the dress or shirt is more noticeable and stunning. Peter Pan collars are flat collars that lay directly on the blouse, and they can even be made of a different material than the rest of the article. Although semi-formal in nature, Peter Pan collars are also light-hearted and fun to wear, and if anything can make you feel like a kid again, it is these collars. Rolled collars stand upright at the neck’s edge, but the rest of the collar folds downward. It is an elegant look, usually only found in more formal apparel, and although it can be found in numerous types of blouses and shirts, it is very often found in more formal dresses. The collar is often made with a button attached to it, although the button is usually symbolic and not needed to attach the collar or make it lie down the right way. If you are shopping for a dressy dress to wear to a cocktail party or other formal event, you’ll often find dresses made with rolled collars. These collars definitely stand out among the other types of collars, and you’ll always be pleased with the way they look on your clothing. Just like the name implies, these collars present the image of the United States Navy, with their middle V-neck component and double-square panel. Naturally, they are usually white with navy-blue stripes or vice versa, but they can be found in other colors as well. If you tie a loose scarf underneath the collar, you get a more new-age and modern look, and since the collars are wide and frill-free, they seem to suit everyone’s tastes. Some have ties or bows in the center of the collar, and some are also detachable. Whatever your preference, you can find the perfect sailor collar to suit your tastes, and clothing with these types of collars is usually very inexpensive to purchase. 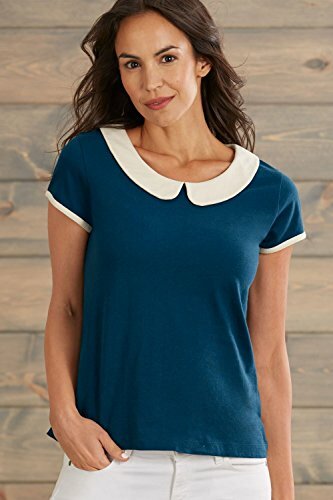 The straight collar is also called the basic shirt collar, because this is the type of collar that most people think about when they think of women’s shirts and blouses. They are mostly made for more formal affairs and usually out of a comfortable material such as cotton. Shirts with straight collars make perfect business attire, and one of the reasons that this is so is that they look great with blazers and jackets. If you love the straight collar, but you want a more informal look, try a blouse made in a material such as chambray. Straight collar shirts present a certain confident image, and because they come in such a wide variety of designs and colors, not to mention fabrics, you are all but guaranteed to find one that is just right for you. You can wear these shirts to offices that are formal or even business casual, and because they are often made in light, comfortable fabrics, it is unlikely that they will cost too much for you to purchase, regardless of what look you were going for. Turtleneck collars go high up on the neck and are often turned down or scrunched under at the bottom near the chest area. Mostly associated with winter wear, turtlenecks are also made of lighter materials that allow you to wear them the rest of the year, as well. Some, in fact, are crocheted and can be attached separately to the item of clothing. The main characteristic, of course, is their high appearance that goes up to the chin area. When you have a sweater, dress, or blouse with a turtleneck collar, it is often made of some type of knitted or wool material because it is usually designed to keep you warm during the cold winter months. Turtleneck collars are beautiful, comfortable, and very practical to wear during certain times of the year, and they can be found at any retail store that you shop at for your apparel.